Amazon Parrot Personality, Food & Care – Pet Birds by Lafeber Co.
Amazon parrots are among the more popular medium-sized parrot species, which might have something to do with their gregarious personalities. They are often described as boisterous, playful, and outgoing — some even like to sing. Male Amazons have a reputation for exhibiting “macho” behavior — they might flare their tail feathers, pin their eyes and “strut” across the floor or table top. Amazon parrots have short, blunt tail feathers, as opposed to long pointy tail feathers like those of conures, macaws and cockatiels, and other parrots. An estimated 27 species of Amazon parrots exist; however only about 10 to 12 Amazon species are kept as pets. Male Amazons often do a macho “strut” walk, especially when overly excited or agitated. The white-fronted Amazon is the smallest Amazon species (10 inches long); the Mealy Amazon is one of the largest Amazon parrot species (16 inches long). Amazon parrots have a well-earned reputation as being the “life of the party.” These primarily green medium- to large-sized parrots are typically bold, comical and often love to be the center of attention. Amazon parrots are from Mexico, South America, as well as parts of the Caribbean. The wild Amazon’s natural habits include savannas, palm groves, scrub forest and rainforest. Most Amazon parrots love to bathe; and bathing opportunities can include joining their owner in the shower, getting a spray bath, or jumping in their water dish and splashing water all about. Bathing is an important part of an Amazon’s feather health. Because of their love of food and their habit of begging for table foods from their owners, Amazon parrots tend to tip the scales toward being overweight. An Amazon parrot needs a spacious cage with toys and swings spread out, as well as a play gym/play tree, climbing rope and/or ladders to scale to encourage movement and exercise. An Amazon parrot often has a hearty appetite, especially for people food so owners need to make sure that they (and other household members) do not overdue it with treats and table foods. An Amazon parrot’s main diet should consist of a nutritionally balanced manufactured diet, as well as an assortment of healthy vegetables, some fruit and healthy treats that pack nutrition instead of empty calories. Amazon parrots seem to relish the texture of food almost as much as its taste, and especially seem to enjoy Lafeber Nutri-Berries and Avi-Cakes. A properly cared for Amazon parrot that consumes a healthy, nutritionally balanced diet can live up to 60 years. Amazon parrots typically play hard. An Amazon parrot might swing upside down from the cage, delight in destroying their wooden toys and even wrestle their owner’s hand with their beak. An Amazon parrot’s mood is one of the easiest to read among parrot species because it is excellent at expressing itself through its body language: pinning eyes, raised head/neck feathers, fanned tail feathers and broad stance, for example, indicates a highly excitable Amazon parrot. An Amazon owner should pay close attention to his or her Amazon parrot’s body language to be fully attuned to the bird’s mood. An excitable Amazon parrot might be telling you that it doesn’t wish to be handled, and failure to recognize this might result in a bite. An Amazon parrot can also go into “play overload” during play, especially when beak wrestling with you. Stop the play session to give your Amazon parrot time to calm down as soon as you see overly excited body language. Male Amazon parrots, especially male double-yellow-headed Amazons, yellow-naped Amazons and Blue-fronted Amazons are said to be more aggressive than females of their species. Amazon parrots are one of the better talkers of the parrot world. They seem to be especially fond of music and singing. An Amazon could careless if the song it sings is off-key; it will sing as if it wrote the sing itself. Amazons can learn to speak a many words and phrases and imitate sounds. An Amazon parrot can also be noisy, especially when it wants attention. It can scream loudly and some make a repetitive honk-like sound when they want something. Some Amazons make a little shrill sound to express delight while they eat a favorite treat. Amazon parrots are typically available in avian-specialty stores and from bird breeders. 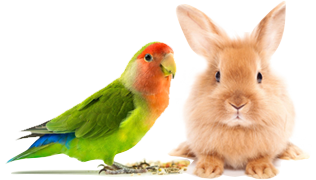 They are also frequently available for adoption from an avian rescue organization. If you are adopting an Amazon parrot, be sure to ask why the bird was given up for adoption and if it has any behavioral issues. Amazon parrots commonly kept as pets include the double-yellow-headed Amazon, or yellow-headed Amazon (Amazona oratrix); blue-fronted Amazon (Amazona aestiva); yellow-naped Amazon (Amazona auropalliata); lilac-crowned Amazon (Amazona finschi); the orange-winged Amazon (Amazona amazonica); white-fronted Amazon (Amazona albifrons); Mealy Amazon (Amazona farinosa).